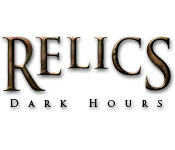 Relics: Dark Hours is rated 2.3 out of 5 by 58. Rated 5 out of 5 by nellautumngirl from A deserted school at night.. Don't let the ratings discourage you, this was a really fun game. 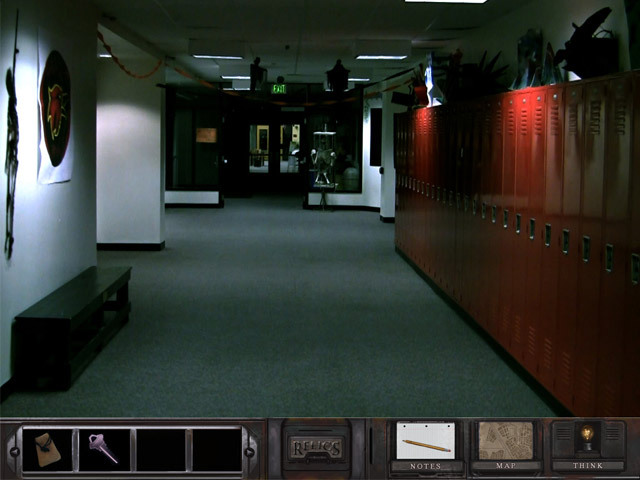 Yes, the mechanics and graphics are wonky but I loved the setting in a deserted school at Halloween. It was genuinely creepy and atmospheric. As an adventure gamer I'm not looking for big shock moments but for atmosphere and a fun story, and that I got here. Greetings to the developers, your school looks cool! Rated 5 out of 5 by skullsandlace from A game for those who love atmosphere and exploring more than action I absolutely LOVED this game. However, if you're someone who prefers a little action, it's not for you. 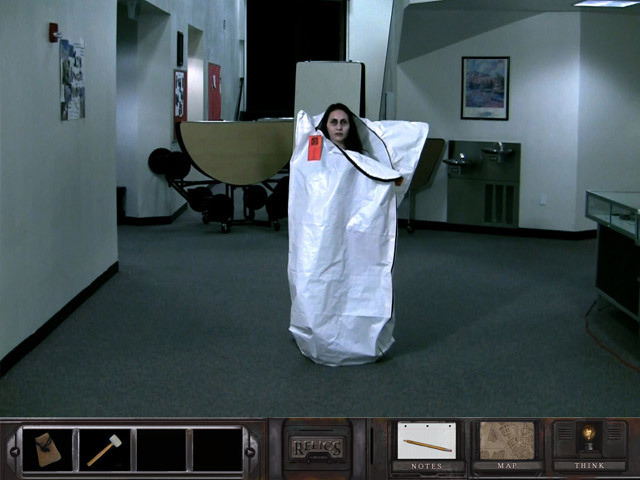 To me, computer games like this, with an interactive environment, are a means of escape. I love being in a different world and just exploring and clicking things. I love atmosphere and following a good story. If you like Carol Reed mysteries or Gone Home, you'll really like this game. If your someone who is good at mystery games (like recognizing clues and solving puzzles) this game will go really quickly for you. 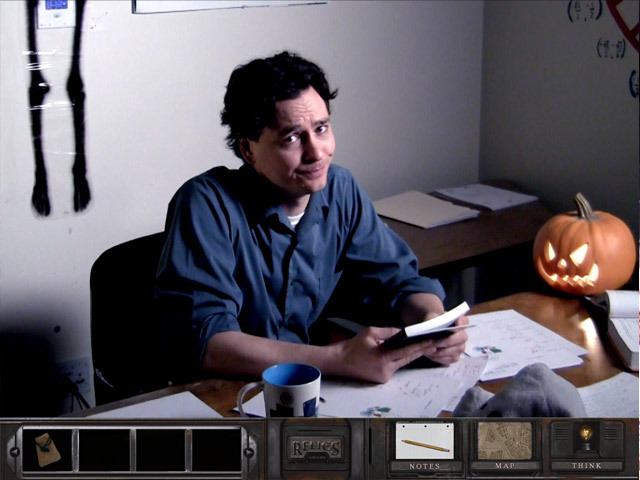 There aren't a lot of clues or puzzles to be solved, and the ones that you do encounter are relatively easy. But I'd say despite the level of challenge, the game is still worth playing. I honestly don't know how this game got such a low review. The only thing I can assume is that those who gave it a low rating are those who enjoy more action-packed games and more to actually do. Rated 5 out of 5 by lidu1 from Loved this game! This game was fun, creepy, and a little challenging. The clues were not real obvious and loved the acting! Wish there were more like it. Rated 5 out of 5 by fishy12 from Worth it !!!! As crazy as this game starts out, it turned into a fantastic fun time. Would tell everyone to give it a chance. Guarantee it will draw you in...loved it. Rated 5 out of 5 by BabyStar69 from Fun Adventure game I love the graphics and how the game keeps you guessing through everything you do I would tell my friends about this game. I thought everything was very good there wasn't anything I didn't like and too much to name that I did like. Rated 4 out of 5 by infallibledog from Requires patience I liked this game overall; however, it did require a little patience to learn how to navigate around adeptly. It was a little frustrating that most of the doors were unable to be accessed, but all in all in was a good few hours of fun for anyone who enjoys first person adventure/puzzle games. Rated 4 out of 5 by mongobongo12 from Different kind of game This is the first game that I played with live action video, so I was interested in seeing how it would play. Overall I was happy with it. I liked the underlying story, reminded me a little bit of the old Friday the 13th television series I watched as a kid. I gave it a high fun factor because I liked the use of live action and a real "physical" location. The visual and sound quality I selected good - there are a few kinks to work out but like most games I think any subsequent installments will get better and better. I actually thought the game was pretty challenging - after I knew the school pretty well it was much easier to get from place to place.